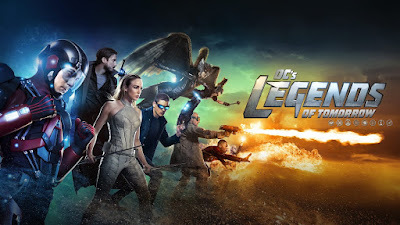 DC's Legends of Tomorrow is a sister-series to The Flash and ARROW, developed by Greg Berlanti. The show opens with time-travelling rogue, Time Master Rip Hunter, played by Arthur Darvill (Doctor Who), in the year 2166. Hunter sees the immortal Vandal Savage (played by Casper Crump) on the verge of his final victory - bringing total chaos and the utter destruction. The abomination pushes Hunter to take matters into his own hands and travels 150 years into the past to assemble a team of carefully-selected heroes and rogues to stop Savage. The 16-episode series features a combination of characters and even villains from The Flash and ARROW, along with new heroes from the DC Comics pantheon. With recurring roles in both The Flash and ARROW, Brandon Routh (Superman Returns) reprises his role as the billionaire inventor Ray Palmer a.k.a. The Atom, who created an exo-suit with the power to shrink himself to miniscule size. Also reprising her role as the trained assassin Sara Lance a.k.a. White Canary in the ARROW-verse is Caity Lotz (Death Valley, The Pact). Prison Break's famous duo Wentworth Miller and Dominic Purcell reunites as Leonard Snart a.k.a. Captain Cold and his partner Mick Rory a.k.a. Heat Wave, who comprise a pair of career criminals. 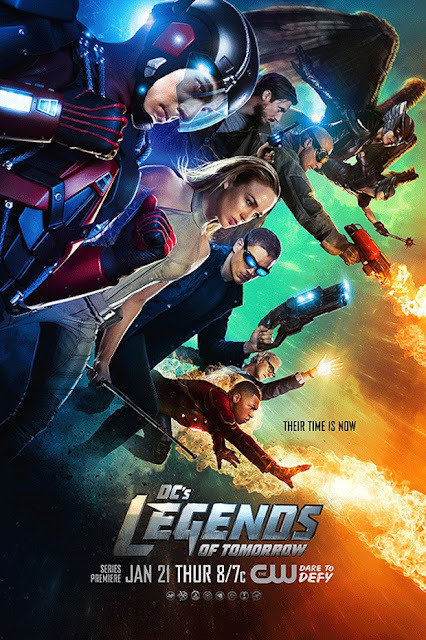 Forming the meta-human Firestorm are Victor Garber (Titanic, Alias) as Professor Martin Stein and Franz Drameh (Edge of Tomorrow) as Jefferson "Jax" Jackson. While Kendra Saunders a.k.a. Hawkgirl and Carter Hall a.k.a. Hawkman are played by Ciara Renée and Falk Hentschel, respectively. Catch the epic story of DC's Legends of Tomorrow, premiering on the same day as the US, on Friday, January 22 at 9pm - and every Friday after that - only on Warner TV. Also catch new episodes from the channel's other hit series returning from hiatus - ARROW on Thursday 21, at 9pm; iZombie on Wednesday January 20, at 9pm. Warner TV is available on SKYcable Channel 77, SKYcable HD Channel 197, Cignal HD Channel 119, Destiny Cable (Digital) Channel 77, Destiny Cable (Analog) Channel 80, and Cable Link Channel 30. For more updates on the best in action, comedy and drama, follow Warner TV Asis on Facebook.